• 1, 500 Small Worms Per Can. • 300 Worms Per Can. Healthy Alternative To Overcome Boredom As Well As Trim and Clean Teeth. • A Crunchy and Delicious Treat For Your Pet. • A Peanut Center Is Rolled In A Crispy Rice Coating and Then Covered With Sesame Seeds. • Contains All Of The Natural Protein, Fiber, Oils and Nutrients Of Whole Grains. • Utilizes Natural Seeds, Grains and Pellets To Provide Your Bird Or Small Animal With A Simple Yet Healthy Diet. • Clean Wholesome Ingredients and Specially Designed Supplements Provide The Proteins and Other Nutrients Your Pet Needs. Fiesta Healthy Topping Papaya Treat For Small Animals. A Healthy Alternative To Overcome Boredom As Well As Trim and Clean Teeth. • A Blend Of Delicious Dried Tropical Fruits and Crunchy Fortified Nuggets With A Smooth, Creamy, Flavored Yogurt Coating. • A Healthy and Fun Treat For Your Pet. • A Creamy Fruit Flavored Yogurt Coating Covers Timothy Hay To Add Irresistible Taste and Texture Plus Extra Vitamin C.
• A Wholesome Snack That Adds Fun and Variety To Your Pets Diet. Triple baked for crunchiness and taste made with fruit & honey. Treat clips easily to cage. Natural wood stick center for long lasting chew fun. . .
A Safe and Entertaining Chew Toy That Helps Overcome Boredom As Well As Trims and Cleans Teeth. 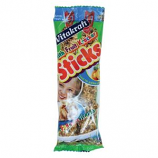 • A Delicious Crunchy Treat Made With Natural Grains and Alfalfa. • A Healthy Treat Ideal For Rabbits, Guinea Pigs, Hamsters and Other Small Animals. 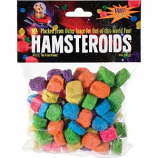 Satisfies pets natural instinct to nibble and chew. Keeps teeth & nails manicured. Fruit scented and flavored. . .
• Kaytee Alfalfa Cubes Are Tightly Compressed Blocks Of Nutritious Sun-Cured Alfalfa That Are Ideal As Natural Food Treats. Eliminates Wasted and Soiled Hay.